The original version of this essay was first published on Internet bulletin boards in May 2007. 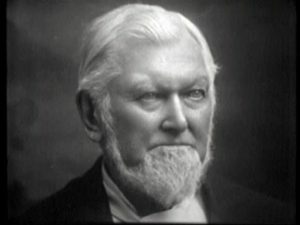 Under strong political pressure, in 1890 Wilford Woodruff issued the “manifesto” supposedly ending the practice of polygamy. The actual response of the Church was to openly continue with polygamous marriages in Canada, Mexico or aboard sea vessels and to perform some clandestine marriages in the Utah territory. Married men would often take an unmarried woman with them to either Canada or Mexico, become married to the new polygamous spouse, and head back to Utah. Utah was granted statehood in 1896 largely due to the abolition of polygamy. As time went on, the federal government got wind of what was really going on in Utah. All of this came to a head when Reed Smoot, an apostle, was elected to the senate. Confirmation hearings were commenced and the government fired a warning shot across the bow. The church knew they had to do something for real this time or suffer serious consequences. Fortunately, by this time, polygamy had fallen out of favor with most of the membership. Only a few die-hards still continued the practice. Unfortunately, some of these strong supporters were apostles and some of the strong-power, broker Mormon families. The brethren knew they couldn’t deny that the practice was happening since this was easily disproved, and furthermore most general authorities still believed it was a divine principle–only on hiatus. 1. Satisfy the federal government. 2. Allow for the eventual return of polygamy when the time was right (i.e. do not deny the doctrinal basis of polygamy). 3. Satisfy those Apostles who still strongly believed in polygamy. Notice the slight-of-hand: no marriages had been solemnized with the “knowledge” of the Church, not “the knowledge of the brethren”. They knew full well what was happening. “The Church” was unaware because there was an order following the first manifesto to stop recording these marriages in the record books. Notice that although excommunication was mentioned, the real consequence was to be “liable to be dealt with” which was merely a threat of possible action not a fixed penalty and easily avoided. The brethren wanted the practice to stop, but they did not want to suffer the schism that would occur if they aggressively went after those who had continued in the post manifesto practice. This crafty message fulfilled the purpose of laundering the rumors. Notice that Lund does not deny the practice occurred; it just refers membership to the “Church’s” stand on the practice. It also demonstrates a pattern that will be used many times after: issuing an insufficient statement of proof, declaring the issue closed and then referring all future questions to the statement. Ignorant members would be satisfied that the Church had ended the practice in 1890. Members with knowledge of post manifesto practice would know how to respond. Everyone would know to not believe the rumors–even if they were true. But the real craftiness and deception by the Church had occurred a few minutes prior to the reading of the statement. The brethren were not able to reach a consensus on the manifesto. John Taylor had taught that polygamy would never be removed and a few of the brethren would not budge. The last hold outs were John W. Taylor (son of the former president) and Matthias Cowley. These two individuals did not attend this session of conference. Everyone else agreed to vote for the resolution. Thus the church could publish that the voting was unanimous–deceptively giving the impression that all of the church leadership was on board. The ruse did not work. The federal government kept pressure on. The church had to respond more seriously and in 1905 Cowley and Taylor were removed from the quorum of the 12 for their continued practice of sealing polygamous marriages. Cowley eventually reconciled with the church and the later appointment of his son, Matthew Cowley, to the 12 is seen by many as a compensation for his father’s act as a sacrificial lamb. Taylor remained loyal to his father and polygamy to the end and was eventually excommunicated in 1911. Here we see an early example of the church practice of differentiating between the individuals and the church where politically expedient. The brethren consistently refer to the Church without really defining what that is or what it means. Any statement, made by any church authority can, at any time, be regarded as the words of a man and not synonymous with the church. In this case, the Church becomes a blanket under which they hid and helps to perpetuate an insidious deception. However, like always, the members do not have the same privilege of distinguishing between the two.